Open Access brings benefits for academic community and society at large, but it is often introduced through official top-down policies with pressure from scientists. What can students do to accelerate the process of opening science? Poland is often being cited as ‘the green island’ unaffected by the world financial crisis, role model for countries in transition, a ‘European tiger’. Nonetheless, economic growth does not seem to trickle down sufficiently enough to reform and strengthen our academic sector. Renowned Polish universities are positioned fourth hundred in world university rankings while a conservative approach to research and teaching still prevails in academic circles. Older generations of scientists dominate the young, digital technology is not widely used either in research or teaching practices and most scholars tend to have a rigid idea of the copyright law. A group of final year students at the University of Warsaw did not want to give up without an impact and decided to conduct a revolution at their faculty. 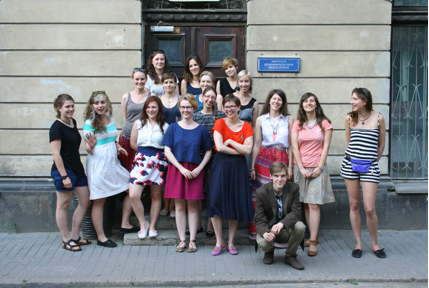 Starting at the Institute of Applied Social Sciences, we founded the first student association to be devoted solely to the promotion of Open Access initiatives and research of academic practices at the University of Warsaw – we were pioneering in the country. 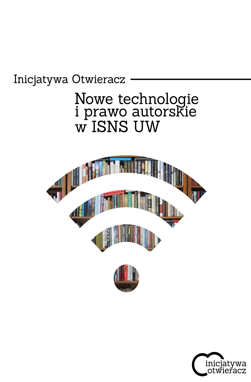 Under the name ‘Inicjatywa Otwieracz’ (‘Opener Initiative’), we aimed at creating positive turmoil and demonstrating what benefits Open Access can bring to each individual scholar, to the Institute as a distinct research entity as well as to students, who can enrich their own learning and researching processes and increase their scientific impact even if they are not professional academics per se. Our objectives were challenging from the very start – bridging the gap between science and digital technology. Raising awareness of new methods of spreading research results is easier said than done, especially in a community which is not particularly used to considering the student voice as purveyor of valuable expertise. Open Access as a concept is hardly a recognisable brand, especially amongst students, so we ventured to challenge the existing ideas of conducting research and publishing results without much bottom-up support. Yet we quickly managed to produce a database of Polish Open Access journals dedicated to social sciences and a list of online scientific repositories, which we made available to the public. We received positive feedback from many scholars, associated not only with our Institute. Our opus magnum turned out to be a major research project focused on new technologies and copyright law in the academic context. In order to be more persuasive and effectively overcome inevitable opposition to Open Access in our Institute, we looked for diagnosis of the most popular myths and anxieties related to technology and copyright law. We asked about beliefs and knowledge related to open publishing and digital technology, as well as about the practices of using new technological means in scientific and teaching processes. knowledge of copyright law and attitude to Open Access principles. All the questions were directed to academic teachers, PhD candidates and regular students of the Institute of Applied Social Sciences, as we intended to compare groups with potentially different benefits from Open Access and contrasting levels of digital competencies. We conducted 47 Pencil-and-Paper interviews with academics, 24 PAPI interviews with PhD candidates and 263 surveys with students. With our findings, we mapped out the most important patterns of technology use, competencies and beliefs among our community. The Internet has become the major source of scientific information, such as literature, research reports and raw data. Informal file-sharing platforms enjoy large popularity, especially among students, which have a high demand for easy accessible online materials. At the same time, the digital form of academic texts has not replaced traditional paper form, despite increasing use of mobile devices in academic and/or scientific practice. Even though the internet seems to be the air we breathe, only a small proportion of both staff and students publishes their scientific work online, creates blogs or discussion groups related to science. Our respondents declared that publishing online can spur scientific development, at the same time being wary of the risks. 75% of academic staff worries that sharing their scientific work online will increase the odds of plagiarism and fraud. In fact, our community demonstrated a more restrictive understanding of copyright law than it in reality is (the questionnaire was based on the evaluation of certain behaviour as legal or criminal). On the other hand, 82% of all respondents declare that making their work available online would contribute to scientific progress and popularisation of research while 93% notice the potential for citation growth when published in Open Access mode. 76% disagree with a claim that free online access to one’s work is a form of theft. The results can serve to tailor a more effective message responding to popular anxieties and increase the impact of Open Access principles in everyday practices in our Institute. During our research process we found out that many scholars do not negotiate their publishing licences in order to facilitate open publishing. We want to raise awareness about this crucial issue, practically and legally help scholars to make scientific work available, but also show students that they as well can profit from popularisation of research results and open journals. 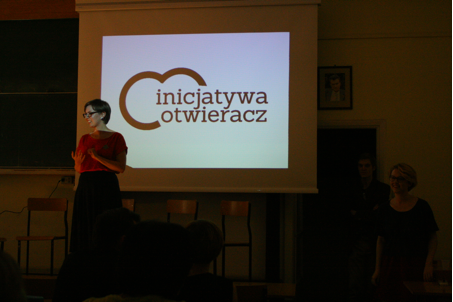 We hope that our Institute will become an example for the rest of the University of Warsaw. The author, Marta Sienkiewicz, is currently pursuing her Master’s studies in Urban Sociology at the University of Amsterdam. Formerly she was vice-chair of Opener Initiative (Inicjatywa Otwieracz) at University of Warsaw, whose efforts she still actively supports.